Time is an often little managed, but scare resource in an organisation. As the old adage goes, “time is money” and never has this been more true than in today’s world, where organisations and their people are facing an hourly onslaught of emails, instant messaging, phone calls and video conferences. Time spent on these interactions limits the amount of available time with customers and slows down an organisation, with financial performance suffering as a result. On average, 15% of an organisation’s collective time is spent in meetings. 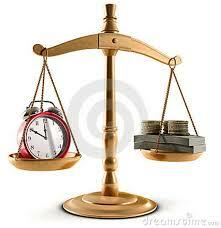 Time should be treated as a scare resource, and like any scare resource, it should be invested carefully. Organisations who budget their time as carefully as their capital have lowered their overhead expenses and liberated countless hours of previously unproductive time for its employees. Meeting time – senior executives devote more than 2 days a week on average attending meetings; 15% of an organisations collective time is spent in meetings. Dysfunctional meeting behaviour – emailing within meetings and double booking meetings knowingly and later deciding which to attend. Weekly department meetings which are attended by all members of that department are often time consuming and costly with an hourly meeting, attended by eight members of staff representing one full day’s work. A one hour meeting beginning five minutes late represents 8% wastage in terms of time. Clearly delegate authority for time investments – ensure the correct person is requesting the meetings and that there is just cause for the meeting.